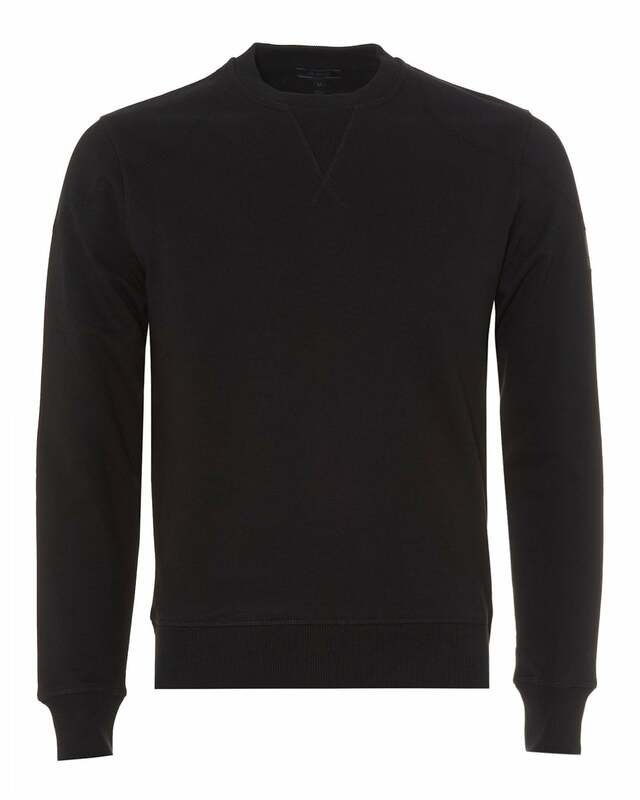 This timeless sweatshirt by British designer Belstaff features their basic black sweat. This cosy fleece feel piece has a stitched v insert on the crew neck, and paneled shoulders adopting the brands motorcycling heritage. Wear this with a pair of joggers or for smart casual wear, piece with some dark navy jeans and trainers.